EVEN IF THERE IS A REALM BEYOND MORTALITY, WOULD FINDING IT IMPROVE OUR LIVES ON EARTH? What use is Spirit to a troubled world? Do prayer and meditation work? As a young man in search of love and a purpose to live for, the author could not fit within the world he found. Longing to be useful but unwilling to conform, he went out to South America. It wasn’t so easy. Alone on a mountainside one day, an inner voice said, ‘To make whole, be whole’. This was a turning point. He realised that, before being able to help others, he first had to work on himself. Once back in England, he looked for and found a method of meditation. Love of nature led him to become one of the first organic farmers but, when asked what he really wanted in life, he answered ‘God’. He’d been schooled in Christian faith but was not, at this time, attracted to the Church. Meditation proved an ideal accompaniment as further adventures took him to Africa and, in particular, the desert. Later, at low ebb in the USA, he ‘met’ Jesus, which brought his practice of meditation and Christianity together. At the age of 51, he re-entered university to study Russian prior to visiting his mother’s homeland for the first time in 1991. This led to several years living in Russia, where he realised the similarity between his own practice and traditional Orthodox ‘prayer of the heart’. The book is based on notes of the author’s unfolding spiritual experience, which taught him that the wholeness he sought is actually – Spirit. How is it attained? By many encouraging examples he shows how, with patient perseverance, the grip of the ego with all the restrictive unhappiness it brings, can be released. Being then more open to the influence of Grace, we may come to discover the Kingdom of God – our original, spiritual and perfect home. Is life complete – surpassing bliss. Where all is right and nothing wrong”. That’s how it happens. I first read about it as a young man but now I don’t need anyone to tell me. It rises of itself from my own experience. And that’s how I write my books. The world, the flesh and ego will deny it but, letting go un-natural restriction, naturally opens up the Spirit that I am. Here, now, I sit and realise it. Spirit, being absolute completion, includes all things as aspects of One Self. It is the fulfilment to which we all instinctively aspire. My story is only one more witness to the same eternal destiny of all who seek and find. Through many trials, errors and layers of limitation, it describes how I gradually come to realise more fully what I am, and how to be of use. Sufficient to say, this greatest of adventures thrills me now as it did when I first started. It has become my life’s work and can only continue after death. While every journey is unique, it can be described and bring encouragement to others. So, I have published my two books. John Butler ‘Discovering Stillness – Part 1’ Interview by Iain McNay. 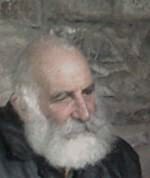 Author of ‘Wonders Of Spiritual Unfoldment’ and Mystic Approaches.’ His loves were farming and meditation. 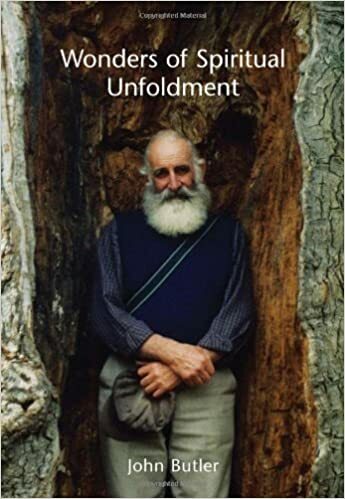 Tells his story of spiritual unfoldment and how he discovered stillness. It was not always an easy path for him and he went through periods of depressions and hopelessness. ‘From worldliness the absolute completion of Pure Being can seem out of touch, more theoretical than real. How can it be relevant to need? Once known however any return to ordinary worldly ways only seem to emphasise its loss. Previous “What is the Soul?” ~ Jason Gregory Next Eckhart Tolle Tv – Why did this awareness happen to you?